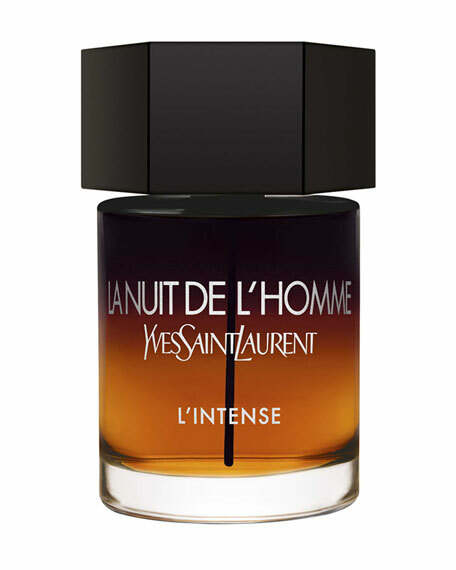 Seduction takes on a new shade with La Nuit De L'Homme L'Intense by Yves Saint Laurent, a new fragrance for men. The ultimate sophistication, housed in a bottle which combines the red intensity of seduction with the elegant black of night. Sage and violet are blended with a vertiginous blast of iris concrete, combined with the Oriental signature of the original La Nuit De L'Homme; vanilla, patchouli and tonka bean. The night never ends.